All Shamong Twp homes currently listed for sale in Shamong Twp as of 04/20/2019 are shown below. You can change the search criteria at any time by pressing the 'Change Search' button below. If you have any questions or you would like more information about any Shamong Twp homes for sale or other Shamong Twp real estate, please contact us and one of our knowledgeable Shamong Twp REALTORS® would be pleased to assist you. "Meticulously impressive colonial with paver brick walkway situated on a prime wooded cul-de-sac location, just steps away from the Medford border. Five bedrooms, three full baths, formal living room, dining room with hardwood flooring, chair rail and crown molding, spacious kitchen with dining area, stainless steel appliances, granite countertops,upgraded kitchen cabinetry, recessed lighting,ceramic flooring. Entrance to oversized cedar deck for entertaining or enjoying nature at its best with paver brick walkway, shed. Possible in-law-suite on first floor - bedroom with full bath large laundry room with utility sink and cabinetry storage. Great room features hardwood flooring, a beautiful brick wood burning fireplace with access to rear decking. Upper level featuring newer plush upgraded carpeting, large master suite includes a walk-in closet plus additional two closets, hardwood flooring, ceiling fan, recessed lighting, master bath suite has been totally updated -large walk-in shower, ceramic tile. Three large size bedrooms with plush carpeting, double door closets and ceiling fans. Full finished basement provides an additional office/playroom area plus a supersized finished area to accommodate your needs (Game Room, Man Cave, workout area, your choice). Also includes unfinished areas for storage. The grounds are lushly landscaped with oversized decking, hardscaping and secluded rear wooded grounds, Oversized 2 1/2 car garage and paved driveway. The perfect combination of space and amenities. Newer-High efficiency HVAC system installed, Anderson windows and doors. This stunning home can be yours!!" "Open House Sun 2/10 1-3 PM! Motivated seller! 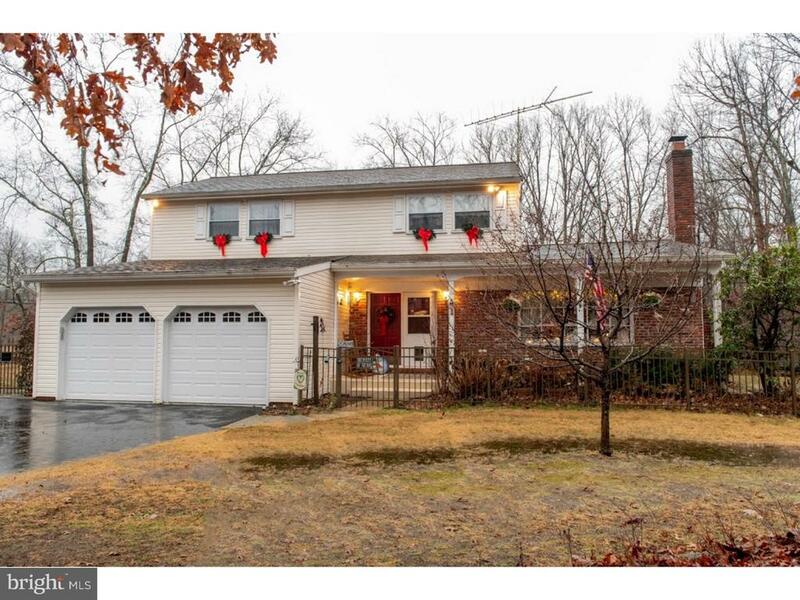 This 4 bedroom, 2.5 bath colonial style home is located in desirable Shamong Township. The home is beautifully renovated with an updated kitchen complete with granite counter tops, recessed lighting and stainless steel appliances. This updated kitchen has $60,000 worth of renovations. If you're a cooking aficionado, rest assured you will not be disappointed by this kitchen! On cold wintry nights, in your large family room, you can entertain your friends and family around the fireplace which has a newer insert or even at the wet bar if you prefer. Upstairs you will find a large master bedroom with a full bathroom and a walk-in closet. Additionally, this house also has 3 bedrooms and a full bathroom, which is suitable for your growing family. The home, which sits on 1 acre plus, backs up to the woods. If you're a nature enthusiast, you can watch the wildlife on your gazebo swing. Or, on those balmy summer nights, you can enjoy the evening while soaking in your hot tub or lounging on the spacious patio, which is adjacent to your above ground pool. If all this and more in scenic Shamong Township sounds like it would be fitting for you and your family, hurry! Make this beautiful home yours today! 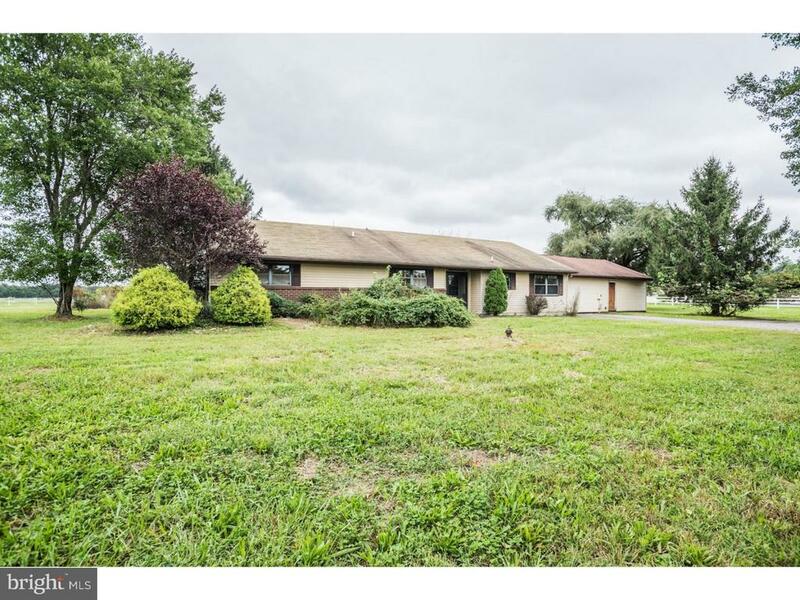 Seller will provide credit towards new carpet and wallpaper removal"
"Spacious rancher on a 3.2 acre country road! This home boasts over 3,000 SF and is being sold As Is, Where Is, no repairs. Large family room with sliders to the rear grounds. Over sized country kitchen will accommodate all of your guests. Easy day trips to the beach, timely commute to the bases, and great schools!"